Few corporate types can charm hardened hacks so effectively. Sheryl Sandberg, the number two at Facebook, the world’s biggest social network, has been glad-handing reporters with spectacular results. The New Yorker says she may “upend Silicon Valley’s male-dominated culture”. New York magazine puts her in line for Secretary of the Treasury. Bloomberg Businessweek speculates that she might one day be the president of the United States. Her sudden lionisation is well-timed. Facebook is expected to go public soon, perhaps this year. It may be the biggest internet flotation ever, with a market capitalisation of more than $100 billion. Investors might be less bullish if the 27-year-old Mark Zuckerberg, the founder, were in sole charge. Many consider him somewhat socially awkward. 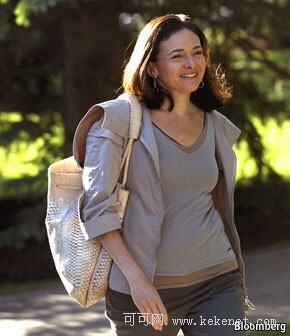 Ms Sandberg, a 42-year-old former Google executive, joined Facebook in 2008; without her, insiders say, it would not have grown from a cash-bleeding start-up to a titan with estimated sales of $2 billion last year. She complements Mr Zuckerberg well. He is technologically brilliant and knows it. She is a good listener with a keen financial brain (she was once an aide to Larry Summers, the then treasury secretary). She provides adult supervision and a professional face to a firm growing so powerful and so quickly that it is bound to clash with governments. Were Mr Zuckerberg to be grilled by senators who have not yet grasped the concept of e-mail, he might let his irritation show. Ms Sandberg would not have that problem. Speculation about her future is inevitable. But for now she is unlikely to move. Facebook has far to go before it fulfils its founder’s mission to become the “social utility” of the online world and Google has launched a rival service. It may take a Google veteran to fight back.